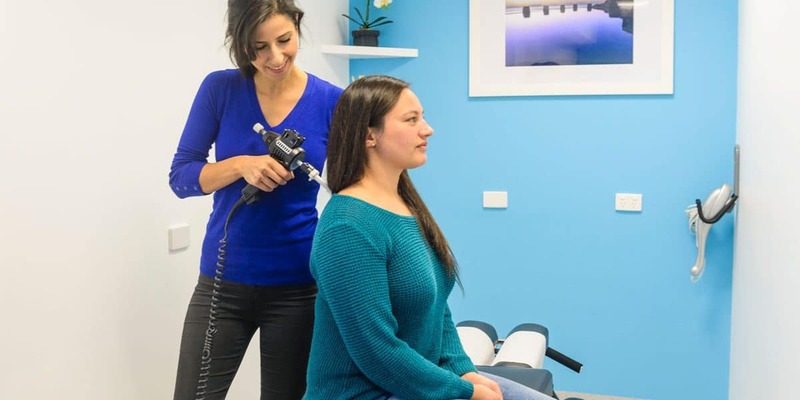 At ChiroRelief we use a selection of chiropractic treatment techniques based on the latest evidence-based research, with a customised treatment plan built for you based on your examination and imaging findings. Below is an outline of some of the chiropractic techniques that help bring our patients relief and mobility. A drop piece adjustment is well suited for those in significant pain and with limited movement due to musculoskeletal complaints, or those simply looking for a gentle method. The technique uses a specially designed chiropractic table that moves with very small up and down motions. When an adjustment is applied to the spine the drop piece cushion falls away, using gravity to assist in the adjustment of the structure that is misaligned or restricted in movement, and returning movement and function back to that segment. Activator technique uses a spring-loaded handheld tool which helps to provide force to targeted points on the body. Ideal for a number of patients including young adults and the elderly, the pulse from this tool is applied faster than with other techniques. As a result the body does not feel it as a strong input and is more relaxed for the adjustment. Cupping is a technique used in combination with acupuncture or dry needling. Cupping pulls blood to a specific region to stimulate healing. It is very effective at stretching tight fascia and muscles. Cupping supports tissue to develop new blood flow and causes anti-inflammatory chemicals in the body. Cupping is generally painless, although it can cause discomfort when using this technique on parts of the body with underlaying issues. Many say it is more effective than massage for muscle problems. Read more on cupping….